Each month, the Candis Lucky Number Draw gives you 253 chances to win. There are 3 fantastic prizes of £2,500, while 250 runners-up can each claim a £25 high street voucher! Check your membership number against the results published in the magazine and in the member draws section online each month. If your number matches, then you can claim your prize! 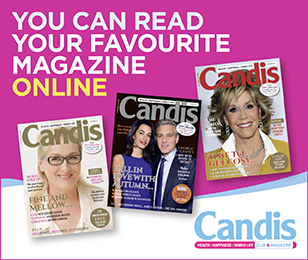 If you’ve been a Candis subscriber for over 12 months you will be awarded an extra number for each additional year of your membership up to five in total. These will be your original number, plus up to four more with the additional hidden gem letters added that indicate the length of your membership – TOPAZ, RUBY, SAPPHIRE, EMERALD. If your Candis Hidden Gems numbers match with the numbers you can win up to £5,000 plus there are 150 runner-up prizes of £50 in high street vouchers. Check the magazine each month to see if you have won in the Member Draws.